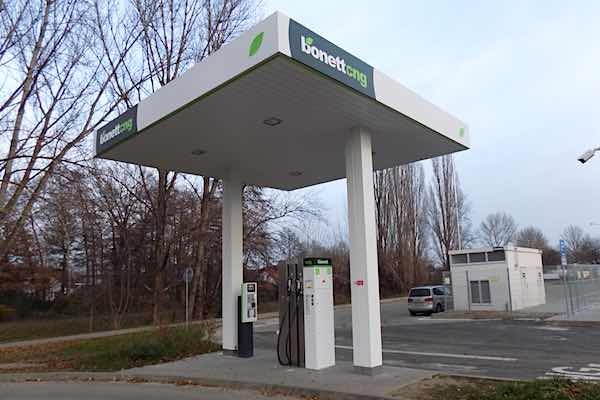 Czech fuel vendor Bonett added four new Compressed Natural Gas (CNG) stations in 2018 to retain its position as the largest private CNG network in the Czech Republic. It also achieved record sales of 11.56 million m3 and accounted for more than 15% of the total volume. That has made 2018 its fourth consecutive year as the largest CNG seller in the country. In 2018, total sales of CNG from the 36 stations represented an annual increase of 27% (2.52 million m3 ). 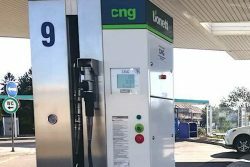 Bonett also notes CNG sales progressed country-wide, where customers drew more than 8.3 million m3 more of compressed natural gas compared to 2017. “For us, the 2018 result is very valuable. We have completed a number of great projects and this year we are planning to open a number of other premium stations”, says Václav Holovčák, Vice Chairman of the Board of Directors of Bonett Gas Investment. Currently Bonett operates a total of 36 CNG filling stations. There are other stations in the Makro hypermarket network with which Bonett has exclusive cooperation. However, the construction of filling stations within classic petrol stations continues, the latest of which opened in Prague at Barrandov at the Shell petrol station in Geologická Street, at the Tenryu pump at Slavkov u Brna and at the Mělník bus station. “Our goal is to have at least 60 CNG stations in the Bonett network in the Czech Republic,” Václav Holovčák added. CNG consumption in the Czech Republic has been growing continuously since 2004, thanks to an increasing number of filling stations (185 as of 30 January 2019) and an increasing number of CNG vehicles. In 2018, over 3,500 NGVs were added to the national fleet which will soon reach 23,000. Buses, whose number is also growing year by year, are significantly contributing to total consumption. While in 2014 there were about 500 natural gas buses, by the end of 2018 that figure had risen to over 1200. “Half of all CNG buses are using technologies supplied by our group,” says Václav Holovčák.